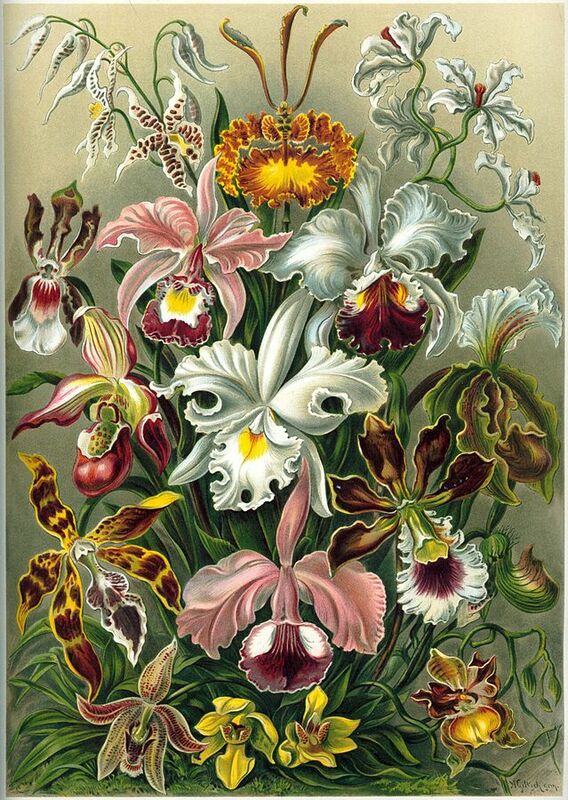 “Haeckel Orchidae” by Ernst Haeckel – Kunstformen der Natur (1904). Licensed under Public Domain via Wikimedia Commons. Via Wikimedia Commons, you may access more than 100 illustrations from the publication. The images are uploaded under public domain where copyright has expired. Attribution is not required.